on The Hilton Honors American Express Business Card's secure website. The Hilton Honors American Express Business Card is best for business owners primarily staying at Hilton hotels and resorts. It offers 12x points per dollar for purchases made directly with Hilton hotels and resorts, and 6x points on other categories. Card owners receive complimentary Hilton Gold Status and pay between 17.99% – 26.99% APR. The best small business travel credit cards provide up to 5x points on travel purchases and offer up to 80,000 introductory bonus points. The Hilton Honors American Express Business Card offers 6x points on select travel purchases and 12x points on Hilton purchases. Additionally, the card comes with unbeatable travel perks, such as travel accident insurance and extended warranty. We give the Hilton Honors American Express Business Card 4 stars out of 5. The Hilton Honors American Express Business Card offers 125,000 Hilton Honors Bonus Points after spending $3,000 within three months. Even though this seems substantial, the redemption value (0.5 cents per point) falls short of other travel rewards cards. Although this card has an annual fee of $95, cardholders receive complimentary Hilton Honors Gold Status and earn free stays on the weekends. Ongoing rewards: The ongoing reward Hilton points you can earn with the Hilton Honors American Express Business Card. This card earns 12x points for Hilton-related purchases, 6x points on select business purchases, 6x points on select travel purchases, and 3x points on other purchases. Introductory rewards: The bonus points you can earn after meeting a minimum spending requirement over the first couple months after opening your card. The Hilton Honors American Express Business Card offers 125,000 Hilton Honors Bonus Points when you spend $3,000 within the first three months. Annual fee: How much it costs to own the card every year. The Hilton Honors American Express Business Card carries an annual fee of $95. Additional benefits: Whether the card comes with additional benefits and features that increase the card’s value. This American Express business credit card offers additional perks, such as complimentary Hilton Honors Gold Status, free weekend night rewards, purchase and return protection, extended warranty, and travel accident insurance. Intro APR: Whether the card offers a 0% APR introductory period on purchases or balance transfers. The Hilton Honors American Express Business Card does not offer an introductory no-interest period. Ongoing APR: How much it costs to finance purchases on your credit card. This American Express business credit card has an APR between 17.99% and 26.99%. The value of the reward points is lower than most travel small business credit cards. On average, Hilton Honors Bonus Points redemption value is 0.5 cents per point. This means the introductory offer is only worth $625. In comparison, most small business credit cards’ point redemption value ranges between one cent and 1.5 cents. When grading a travel rewards business credit card like the Hilton Honors American Express Business Card, we weigh ongoing rewards, introductory rewards, and additional card benefits heaviest. We also consider the card’s annual fee and introductory and ongoing APRs. Based on our 5-star rating system, where 20 points equals 1 star, the Hilton Honors American Express Business Card could have scored 4.5 stars if it offered an 0% APR and had a higher points redemption value. In cases where cards receive perfect scores in most categories, we may award bonus points to boost the card’s rating. Despite the card’s excellent ongoing rewards and additional features, our grade of 4 stars is appropriate because the Hilton Honors American Express Business Card’s introductory rewards and reward points value fall short of some of the best travel credit cards. The redemption value of each point on average is only worth 0.5 cents. In comparison, the Chase Ink PreferredSM has a redemption value that is worth 1.5 cents when redeemed for travel. The Hilton Honors American Express Business Card is right for businesses that frequently stay at Hilton hotels and resorts. Cardholders can gain access to Hilton Honors Gold Status, which they’ll earn an 80% point bonus on paid stays, resulting in an additional eight points per dollar spent. Additionally, they will receive American Express’ premium travel perks, so it’s also best for businesses that travel often. The Hilton Honors American Express Business Card has a high ongoing APR starting at 17.99%. On average, small business credit cards have APRs that range between 14% and 25%. Most travel rewards cards carry high APRs to help pay for the substantial rewards and additional perks. This American Express business credit card doesn’t offer an introductory no-interest period. If you think you’ll need to carry a balance, consider a card with a 0% APR period. The Hilton Honors American Express Business Card is a great solution for overseas travelers because it doesn’t charge a fee for foreign transactions. In addition, its overall costs are less than the Chase Ink Business PreferredSM, which has an ongoing APR starting at 18.24%. To avoid paying interest on the Hilton Honors American Express Business Card, you’re required to pay your credit card balance by the due date. Your due date is at least 25 days after the close of each billing cycle. The due date on this American Express business credit card is longer than other cards, like the Chase Ink Business PreferredSM, which has a payment due date at least 20 days after you receive your bill. The Hilton Honors American Express Business Card offers bonus category rewards on Hilton hotels and resorts, travel, business purchases, gas stations, wireless phone services, shipping, flights, and car rentals. Additionally, you can earn 125,000 bonus points when you spend $3,000 in the first three months. Although this reward seems substantial, each bonus point is only worth half a cent. This means the bonus offer is only worth $625. In comparison to other hotel rewards cards, the Marriott Bonvoy BusinessTM American Express® Card offers 100,000 Marriott Bonvoy points after spending $5,000 within three months. Marriott points are valued at approximately 0.9 cents per point, which makes this offer worth $900. The 12x rewards offered with the Hilton Honors American Express Business Card are considered some of the best in the market. To put this in perspective, when you use the Marriott Bonvoy BusinessTM American Express® Card, you can earn 6x points for every dollar of eligible purchases at participating Marriott Bonvoy hotels. In comparison, Hilton Honors points are worth 0.5 cents per point and Marriott Bonvoy points are worth 0.9 cents per point. Additionally, the Hilton Honors American Express Business Card won’t pay bonus points for charter flights and private jets, or purchases at nightclubs, convenience stores, grocery stores, or supermarkets. You also won’t receive bonus points for purchases made at a restaurant owned by a U.S. company but located outside the U.S. (e.g., Hard Rock Cafe in Paris). Exclusions here are common across small business credit cards. You can redeem your Hilton Honors Bonus Points for hotel room nights, and you can use a mix of your points and money for hotel nights, unique travel experiences, shopping on Amazon, or for purchases from airline partners. Hilton Honors points generally have a redemption value of 0.5 cents per point. Hotel room nights: Redeeming your Hilton Honors points for free nights at Hilton is the best way to utilize your points. The amount of points a Hilton room is worth is based on the specific hotel, the room you want, when you book, and the dates of your stay. On average, Hilton rooms are between 38,000 and 45,000 points per night. Pay for hotel nights with points and money: If you don’t have enough points to earn a free night, you can use a mix of your Hilton Honors points and money. You can choose how many points to use toward a free night, starting at 5,000 points and increasing in 1,000-point increments. Unique Hilton Honors experiences: Hilton Honors members who have 10,000 points or more can trade them in for unique experiences through the Hilton Honors Experience auction site. These experiences can include private tours, food classes, and concerts. Amazon purchases: Hilton partnered with Amazon to allow members to use points to make purchases at Amazon.com. To use Hilton Honors points on Amazon, you must first link your Hilton Honors accounts on Amazon.com. Transfer to airline partner: You can transfer your Hilton Honors points to one of the following airline partners in the Americas: Aeromexico, American Airlines, Frontier Airlines, LAN, Air Canada, Amtrak, Hawaiian Airlines, Alaska Airlines, Delta Airline, and United. Point exchange rates vary per airline, which you can find on Hilton’s website. To get the most value of your points, it’s best to use them on free hotel room nights. The number of Hilton Honors points may vary depending on if the stay is during a peak or off-peak period. However, Hilton members with Silver, Gold, or Diamond status will receive every fifth night free on standard reward stays of five consecutive nights or more. The Hilton Honors American Express Business Card provides card owners with unrivaled travel perks similar to other small business travel credit cards, such as extended warranty protection. Additionally, it offers roadside assistance, purchase and return protection, a global assistance hotline, free airport lounge visits, and complimentary Hilton Honors Gold Status. 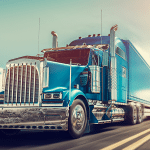 With the Hilton Honors American Express Business Card, you will have access to a roadside assistance hotline that can send out a tow truck or locksmith. However, the roadside assistance charges for any additional goods or services provided once the tow truck or locksmith arrives. If you’re looking for a card that includes these services at no additional cost, a good card option would be the American Express Business Platinum Card®. The American Express Business Platinum Card® will cover the cost of any of the above services for up to four times per year. The roadside assistance hotline provided on the Hilton Honors American Express Business Card isn’t offered by all small business travel credit cards. 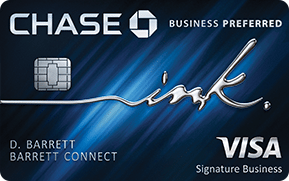 For example, the Chase Ink Business PreferredSM doesn’t provide its card owners with any roadside assistance. Exclusions here, however, are common among small business credit cards that offer roadside services. By using the Hilton Honors American Express Business Card, your purchased items are protected for 120 days from the purchase date if they’re damaged or stolen. If you’re a New York resident, you are only covered for 90 days. Your purchase protection insurance covers up to $1,000 per item and $50,000 for all occurrences in one year. Most American Express business credit cards come with the same coverage. For example, the Marriott Bonvoy BusinessTM American Express® Card also pays up to $1,000 per item and $50,000 per year. The Chase Ink Business PreferredSM, however, covers up to $10,000 per claim. However, regardless of the coverage amount, the exclusions here are similar. With the Hilton Honors American Express Business Card, you can receive a refund on eligible items if you try to return it within 90 days from the purchase date and the store won’t accept it. Your refund amount is capped at $300 per item and $1,000 per account per year. American Express return protection covers items that are in their original condition and can’t be returned to the original store within 90 days from the purchase date. This is a credit card perk that’s offered on most premium American Express business credit cards. For example, the Chase Ink Business PreferredSM doesn’t offer refunds on items that can’t be returned. American Express has the same item exclusions on most of its business credit cards, such as the Marriott Bonvoy BusinessTM American Express® Card and American Express Business Platinum Card®. If you’re using either of these cards, expect to not have coverage on the items listed above. If you purchased an item using the Hilton Honors American Express Business Card and it has an original manufacturer warranty of five years or less, American Express will provide extended warranty protection. You will receive an additional two years on your warranty if the original warranty was between two and five years; American Express will match the warranty if it’s less than two years long. When you use the Hilton Honors American Express Business Card, the extended warranty protection will cover eligible items with an original manufacturer warranty of five years or less. This coverage is also the same for the Marriott Bonvoy BusinessTM American Express® Card and American Express Business Platinum Card®. American Express has an extended warranty protection that offers a larger window of additional coverage than some other small business travel cards. The Chase Ink Business PreferredSM, for instance, will extend the original warranty by an additional year on warranties of three years or less. Exclusions here are common across small business credit cards. When you use your Hilton Honors American Express Business Card, you will have access to travel accident insurance up to $100,000. However, American Express will only cover trips that were charged entirely to your active card. American Express travel accident insurance provides coverage if you die or lose a limb, sight, speech, or hearing in regard to any travel fares that were paid for entirely on your card. Other American Express cards cover the same instances, but up to a higher amount. The American Express Business Platinum Card®, for example, covers up to $500,000 in accidents. Stroke or cerebrovascular accident, cardiovascular accident, myocardial infarction, heart attack, coronary thrombosis, aneurysm, or deep vein thrombosis. These exclusions are the same across all American Express business credit cards. However, there are some small business credit cards that don’t provide travel accident insurance as a whole. For instance, the Chase Ink Business PreferredSM doesn’t provide cardholders with travel accident insurance. By using the Hilton Honors American Express Business Card, cardholders will have access to baggage insurance coverage between $250 and $1,250. This insurance covers any lost bags while in transit, carry-on baggage, checked baggage, and high-risk items. This is not the best coverage available among small business credit cards. The American Express Business Platinum Card®, for example, provides baggage insurance coverage between $1,000 and $3,000. American Express has a longer list of exclusions compared to other small business credit cards. The Chase Ink Business PreferredSM lost luggage reimbursement plan only excludes loss of papers, money, and tickets. Additionally, Chase’s coverage provides reimbursements up to $3,000 if your checked or carry-on luggage is lost or damaged. American Express provides car rental loss and damage insurance when you use your Hilton Honors American Express Business Card for a car rental. American Express covers up to $50,000 per car rental agreement for the first 30 days of a car rental from a car rental company. Whether you decide to use the Hilton Honors American Express Business Card or the Marriott Bonvoy BusinessTM American Express® Card, you will receive the same car rental coverage. However if you use the Chase Ink Business PreferredSM, there is no monetary cap and you may be reimbursed up to the cash value of the rental vehicle. Although many of the same exclusions apply between Chase and American Express, the major difference is the monetary cap both companies put on their car rental insurances. On the Hilton Honors American Express Business Card, your coverage is capped at $50,000 per rental agreement. However, the Chase Ink Business PreferredSM may provide coverage up to the entire value of the vehicle. The Hilton Honors American Express Business Card gives cardholders access to a global assist hotline when they travel over 100 mile from home. The 24-hour hotline provides access to medical, legal, financial, and other select emergency and assistance services. Cardholders are responsible for any charges required by third-party providers. American Express provides a global assist hotline on all of its small business credit cards, including the Marriott Bonvoy BusinessTM American Express® Card and American Express Business Platinum Card®. The Chase Ink Business PreferredSM, however, doesn’t provide a global assist hotline to their cardholders. 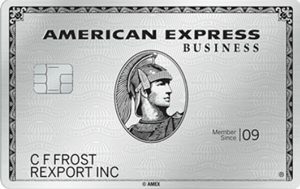 American Express provides proprietary tools for all of its small business credit cards, including the Hilton Honors American Express Business Card. The tools provided by American Express include a mobile device app to manage your account and pay your bills, a desktop program that allows you to manage employee cards and track their transactions, and the ability to transfer transaction data to your QuickBooks online account. Mobile device apps: American Express mobile device apps allow account holders to manage their funds, pay their bills, and check their card balances. Additionally, it’s possible to control employee cards and monitor transactions. Employees can also use the mobile device apps to take photos of their receipts and upload them on their phones. Desktop account managers: Account holders can also manage employee cards from their desktops. Through the desktop application, it’s possible to view transactions, set spending restrictions, and flag any unusual transactions. Connect to QuickBooks: If you connect your American Express account with your QuickBooks online account, your transaction data will be transferred automatically. American Express provides some of the best account management and expense reporting tools among small business credit cards. 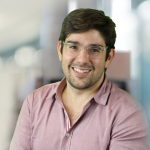 For example, the Chase Ink Business PreferredSM doesn’t let you connect your account to a leading accounting software, which means you will have to manage that process manually. If you open the Hilton Honors American Express Business Card, you will receive complimentary Hilton Honors Gold Status. Gold Status is usually earned after 40 night of stay or by earning 75,000 base points in a year, which is $7,500 in spending. If you want to receive more Hilton benefits, you can upgrade to Hilton Honors Diamond Status when your total eligible purchases reach $40,000 or more. Hilton Honors Gold Status members will earn an 80% points bonus on paid nights, which is an additional eight points per dollar spent. Hilton Honors memberships also give you instant benefits on every stay when you book directly through Hilton. You can view a full list of Hilton’s membership benefits on its website. With the Hilton Honors American Express Business Card, you can receive a free Priority PassTM Select membership. Priority PassTM is a network of airport lounges, mini-suites, and restaurants. This network is available in approximately 35 major U.S. airports. After you enroll in the Priority PassTM Select program, you will receive your Priority PassTM Select card within 10 to 14 business days. With this card, you will receive 10 complimentary lounge visits each membership year. Although the Hilton Honors American Express Business Card carries a $95 annual fee, you can issue additional employee cards for no fee. Most small business credit cards don’t charge for employee cards. However, some premium credit cards charge a fee for employee cards, such as the American Express Business Platinum Card®, which charges a $300 fee for each additional card. The Hilton Honors American Express Business Card isn’t a good choice if you think you’ll need to carry a balance because of its high APR (17.99% to 26.99%). Additionally, it doesn’t offer a no-interest introductory period. If you think you will need to carry a balance at any point in time, consider opening a 0% APR business credit card. We sourced the web for Hilton Honors American Express Business Card reviews and found that user reviews are mixed. Positive reviews suggest users like that their points don’t expire as long as their card is active every 12 months. Some users say they’re disappointed that Hilton points are worth only 50% of the value of other loyalty programs, such as the Chase Ink Business PreferredSM. You can apply for the Hilton Honors American Express Business Card online. You’re required to enter your basic business and personal information. You will usually receive a decision immediately after you submit your application. If you’re approved, you will receive your card within seven to 10 days. You can check on your application status online. You can log in to your Hilton Honors American Express Business Card account online by providing your user login ID and password. If you run into any difficulties, you can contact American Express business credit card customer service through the American Express website or call 800-492-3344. American Express has a handful of small business credit cards for different types of business spending needs, such as cash-back rewards cards and no-interest credit cards. Each card offers different introductory and ongoing rewards and different APRs, plus some cards have annual fees. American Express Business Platinum Card®: Best for businesses that travel frequently and want to earn maximum travel rewards. Additionally, this card is right for business owners who want access to premium American Express travel perks. American Express® Business Gold Card: Best for businesses that want access to premium travel benefits and to earn rewards for the two spending categories in which they spend the most each month. The Plum Card® from American Express: Best for businesses that want to earn pay-early discounts with no cap. This charge card gives you payment flexibility because you can earn pay-early discounts or receive 60-day free financing terms. American Express Blue BusinessSM Plus Credit Card: Best for businesses that travel often and want to earn rewards on just about all of their everyday purchases. Additionally, you will have access to premium free travel perks. American Express SimplyCash® Plus Business Credit Card: Best for business owners who are seeking simple automatic cash back rewards. It also helps if you travel frequently as this card offers American Express travel features. 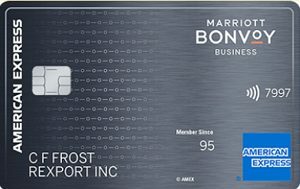 Marriott Bonvoy BusinessTM American Express® Card: Best for businesses that frequently stay at Marriott Bonvoy hotels and want access to American Express premium travel perks. American Express Delta Reserve® for Business Credit Card: Best for businesses that frequently fly with Delta airlines and want to access the Delta Sky Club. You will also have access to American Express travel insurances and benefits. American Express Platinum Delta SkyMiles® Business Credit Card: Best for businesses that do all of their flying with Delta airlines and want to earn Delta SkyMiles for their purchases. American Express Gold Delta SkyMiles® Business Credit Card: Best for businesses that travel with Delta airlines frequently and want to access premium American Express travel coverages. Additionally, you will earn SkyMiles on select purchases. Amazon Business Prime American Express Card: Best for business owners who are existing Amazon Prime members and want to earn cash back on specific Amazon purchases. Amazon Business American Express Card: Best for business owners who are not Amazon Prime members and want to earn cash back on specific Amazon purchases. American Express Business Green Rewards Card: Best for businesses that frequently travel, but have low annual spends. With this card, you can earn cash back on eligible purchases through American Express Travel. American Express Lowe’s Business Credit Card: Best for business owners who primarily shop at Lowe’s and want to earn Lowe’s points rewards. Plus, you can earn discounts in-store and online. Some small business travel rewards cards may offer better spending categories or reward redemption opportunities for your business. You may want to use an alternative to the Hilton Honors American Express Business Card to access other loyalty programs, earn better overall travel rewards, or to move away from a co-branded travel credit card.